Boise Guardian | Will Valley Transit Go To The Dogs? Talk about being “business friendly!” Seems the government owned and funded Valley Regional Transit (VRT) has been approached by the big dog in the bus business, Greyhound, about the possibility of using VRT taxpayer supported facilities for commercial passenger terminal and vehicle servicing purposes. One could say VRT is going to the dogs to get more cash. Here is what came out of a recent VRT Board meeting. Seems the big dog has litter mates here in the Valley. The contractor who operates the local bus service for VRT is owned by the same British based company that owns Greyhound. Separate operations but common ownership. Greyhound is proposing to use Main Street Station as a passenger and package express station. Buses would sit on Main St in front of the Wells Fargo building to load and unload passengers. VRT would handle ticketing, package express, public relations, and related duties for Greyhound in the Main Street Station multimodal facility. After discharging passengers downtown the big dog would run a few laps to the VRT Orchard Street Maintenance Facility by the airport where it would fuel, “lift a leg,” take a bath, and get groomed for passengers before returning downtown to pick up customers. Fees to Greyhound for these services are still being worked out. With passenger fares down 8% from 2017, VRT is keen to sniff out additional revenue sources. It estimates net revenue of about $ 10,000 a year from Greyhound for use of Main Street Station plus additional monies for servicing the big dogs. The VRT Board directed staff to develop more information about the proposal and ensure all related costs were covered by Greyhound. They also requested a Greyhound management representative be present the next time the proposal is discussed by the Board. No word on what will happened to the current Bannock St bus terminal should the VRT Board approve this proposal but it appears its days as a kennel are over. Unless something has changed with Greyhound – those buses seem to produce the most nauseating diesel exhaust around. The current Valley Ride buses burn natural gas. Use of the facility and the buses sitting around idling will add more of a pall of stinking and unhealthy exhaust in Downtown Boise. Bannock street terminal is literally and figuratively a dog. It needs to be scraped and redeveloped, it has been for sale, officially or privately for years. Greyhound service for Boise is critical, I think it is still the cheapest way for tax payers to ship the homeless to Salt Lake City or Portland. Our valley bus system (VRT) ranks as one of the worst aspects of our area. Even floating this idea is just another example of their TERRIBLE leadership. Katie is right on the bus exhaust. Tough to have nice outdoor patio dining, walking, shopping, & enjoyment when a giant noisy bus rolls past or sits there idling on a Wednesday night at the Grove. Our downtown streets already are TERRIBLE: uneven surface, lights seldom in sync, at least 30% are blocked for construction or an event, they can’t handle the 5PM exit, etc., we don’t need giant heavy buses to add to those problems! Screw you VRT! The airport area is a good spot to locate a very small Greyhound station. Greyhound is paying less in property taxes now for their Bannock location, than they did in past 10 years. Great, just what we need. VRT obviously can’t use the underground station to its full capacity so why not just open the floodgates to anyone? What’s next, have the school buses do daily rounds there and even park at night when the VRT buses aren’t running? Well, obviously ANYTHING will work at this point to keep the downtown underground station from becoming another hangout for the local homeless population. Why not a Greyhound terminal at the airport overflow parking lot. It keeps the dirty buses near the dirty trucks on the freeway and the dirty planes. It is in close proximity to the maintenance shed and Greyhound passengers can access a clean bus to downtown through an airport terminal transfer. I like ‘Caeth’s’ idea: but also run the new Folly Trolly from downtown up Vista to the new bus terminal! One more thought, since we are in multi-model space: let people in downtown get to the new airport Greyhound teminal using the scooters that are littering the sidewalks. 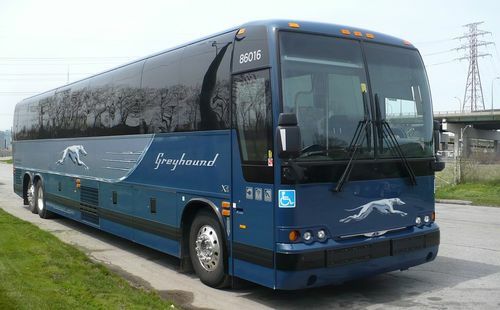 Greyhound receives substantial money from states, including Idaho, via the Federal Transit Administration and through Idaho Transportation Department as part of the FTA 5311 Rural Transit Grants Program. States are required to distribute 15% of this fund to intercity bus services unless other conditions are met. Greyhound, and Salt Lake Express. Northwestern Trailways and Salt Lake Express currently receive federal funding through” ITD’s Public Transit Division. Don K is smart: he reads public agency meeting minutes. More of you should do the same. Lots of nuggets inside that boring text. Even better: attend the meetings in person!